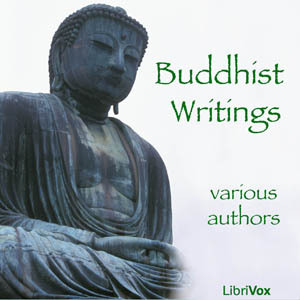 Listen to "Buddhist Writings" on your iOS and Android device. An anthology of very early Buddhist scriptures. It's a little bit scattered having texts from various types of Buddhism in the same book without any explanation given. It would be very confusing to the person who hasn't already studied Buddhism. However, to someone who doesn't know anything about Buddhism at all, it might be nice just to put your toe in the water. Because most people don't know where to find any texts at all. I would recommend afterward going on to look up the various sources of the books on Sacred-writings.com or some other source that might help you put it in context. The Narrators were of various levels of quality. Some are very good and some are pretty amateur, but your getting it for free so don't complain, and others have lovely east Indian speaking voices and teach you have to pronounce the foreign vocabulary while your learning about Buddhism.